WWE, unfortunately, will have to make a big change to one top match at the Elimination Chamber pay-per-view event. According to a report by Fightful, Mustafa Ali is expected to be pulled from the Elimination Chamber Match with the WWE Title on the line. 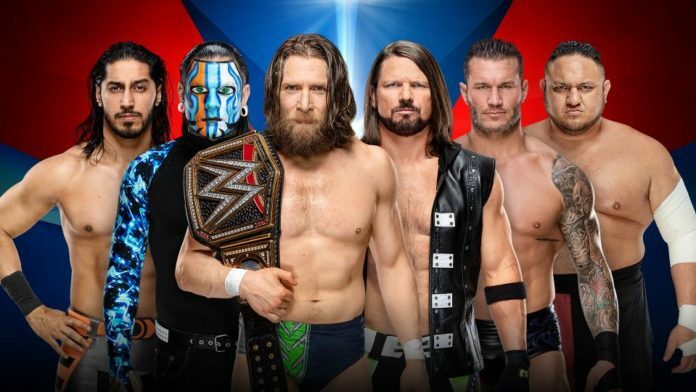 WWE Champion Daniel Bryan is slated to make his next title defense against Ali, Randy Orton, AJ Styles, Samoa Joe, and Jeff Hardy. It was noted in the report that Ali had been working through an injured tailbone that got hurt again at the Royal Rumble and then suffered an eye injury as it was swollen shut after sitting up into Randy Orton’s boot on the Garvin Stomp. Moving along, the injury was worsened at a live event on Sunday and is not expected to be cleared for action all week long. Now, WWE plans to write him out of the match on Tuesday’s SmackDown Live where they will blame Orton for the injuries in storyline.